It was a busy week for the Rouhani Government, as it sought to gain support at home while pressing its “engagement” abroad. 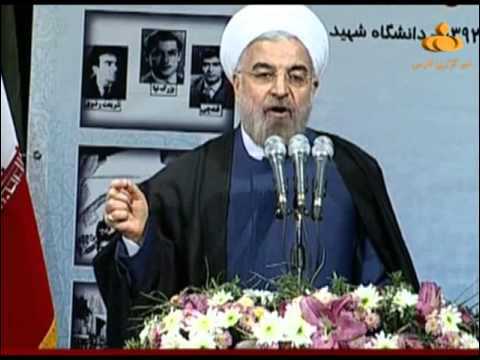 Rouhani’s speeches were supported by the submission of his draft budget for 2014/15 to Parliament, promising to rectify the mismanagement and excessive spending of the Ahmadinejad years, and by the opening of talks with Western companies for investment in Iran’s oil and gas fields. Meanwhile, Foreign Minister Zarif followed last week’s rapprochement with Turkey with a campaign in the Gulf States, as he toured Oman, Kuwait, and the UAE and expressed hope for a trip in the near-future to Saudi Arabia. Rouhani played his part in the diplomatic offensive, hosting Iraqi Prime Minister Nuri al-Maliki and then Afghan President Hamid Karzai. Still, the news was not all rose-colored. Rouhani’s promise to open up Iranian society faced the challenge of a wave of arrests of journalists, activists, and a popular rapper. And Iran’s security forces appear to be looking at a surge in insurgency in the southeast, with Jaish ul-Adl — responsible for the deaths of 14 border guards in October — carrying out new operations. Iranian forces shelled across the border into Pakistan in response. Expect the Rouhani Government to press its current advantage on both the home and international fronts. The nuclear deal continues on its course — the International Atomic Energy Agency inspected the Arak heavy-water reactor last weekend, and technical talks are forthcoming — with no major resistance from Rouhani’s opponents. The President also appears to have a clear field in his attempt at economic recovery: his submission of the draft budget to Parliament was contrasted with the perpetual lateness of Mahmoud Ahmadinejad in carrying out that duty. For all the US media’s highlighting of objections from Saudi Arabia and Israel, Rouhani’s diplomacy also seems to be in good shape. President Obama made requisite noises about “all options on the table” if Iran did not meet the terms of the interim agreement, but his overall statement was of support for the process. Saudi objections appear to be over-stated: while Riyadh is wary — primarily about Syria, rather than the nuclear situation — Zarif has room for discussion with the Gulf States over issues of regional concern. NextMiddle East Audio Analysis: Does the US Have A Strategy?